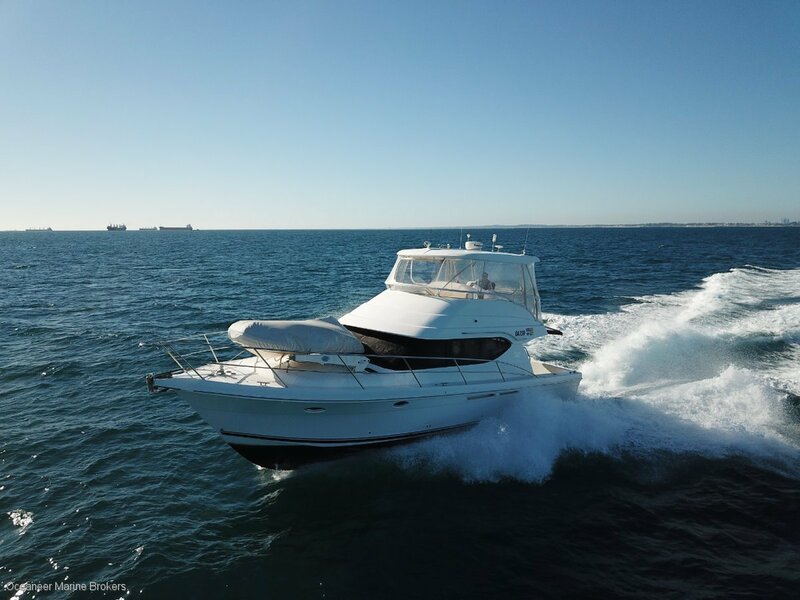 Built under licence by Maritimo Australia, this is a quality vessel – highly specified and extremely well appointed throughout with quality fitting and exceptional engineering. The modern aft galley creates full use of this beautiful vessel allowing the cook access to both the saloon and saloon deck. With a generous master stateroom, this vessel can berth 6-7 passengers overnight. Powered by 2 Cummins engines, this vessel also boasts ducted reverse cycle air conditioning, a fully equipped galley, audio visual system, Raymarine electronics, tender onboard, bow thruster and much more. This vessel will not disappoint. Pen available by separate negotiation.